FACT CHECK: Was Beto O'Rourke Arrested Twice and Part of a Band Called El Paso Pussycats? 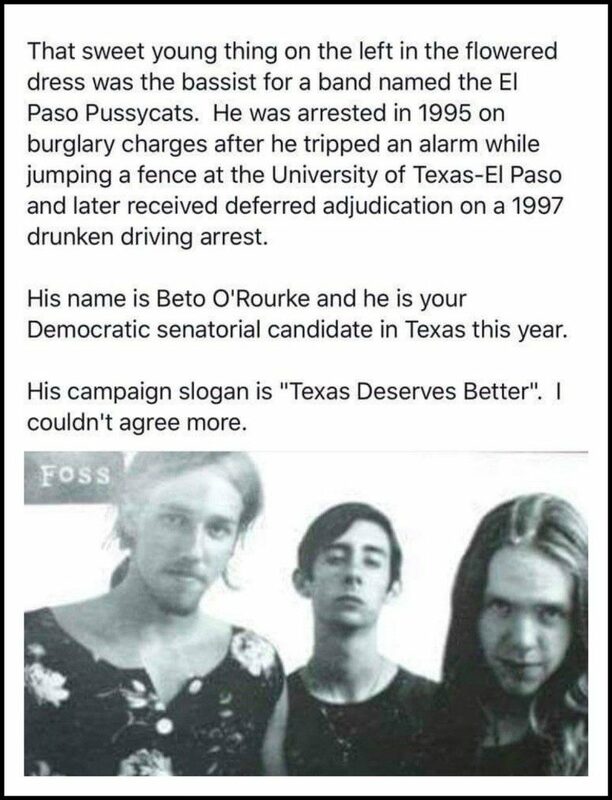 Was Beto O’Rourke Arrested Twice and Part of a Band Called El Paso Pussycats? We do know he was in a punk band in the 1990s that got its name from the Icelandic word for "Waterfall." Beto O'Rourke was in a band called the El Paso Pussycats and was arrested at least twice in the 1990s. The El Paso Pussycats was the name of the band's EP, not the name of the band itself. The claims made in this meme are largely accurate, although a few inaccuracies should be noted. It is a well-established fact that as a high schooler in El Paso, Texas, Rep. Beto O’Rourke (D-TX) was in a band, Foss — ::pauses to take giant bong rip:: It’s Icelandic for ‘waterfall’ — with Cedric Bixler-Zavala, who would go on to considerable fame fronting the Mars Volta and At the Drive-In. On Tuesday, the @TexasGOP Twitter account tweeted what it believed was a sick burn of O’Rourke about his pre-political days. 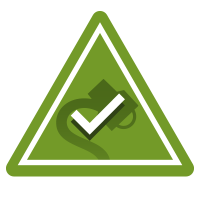 We covered O’Rourke’s arrest record more in-depth in an article we published during the 2018 midterm elections. Houston Chronicle. 27 August 2018. The New York Times. 6 February 2019. Rolling Stone. 30 August 2018.